Are you ready to empower your members to get noticed and level up their personal brand? Are you looking for a way to help your team or employees better represent your company’s brand image and be more relatable to clients? 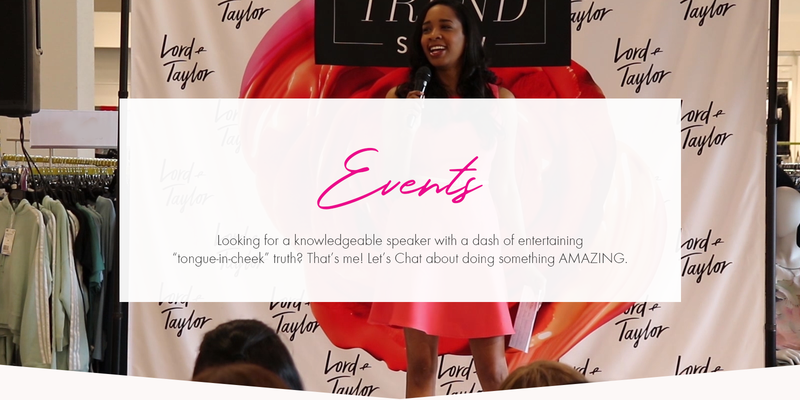 I offer quarterly, monthly, and one-time events on various personal branding topics. How to craft the perfect brand story and attract more opportunities. 6 simple steps to crafting a high value proposition brand statement. How to enhance your natural beauty to project the right image. 4 steps that will take you from wasting time to increasing your bottom line. CEO Convo Over Coffee or Cocktail? Ever Googled “personal branding” and realized you didn’t know where to start? Information overload, I know! The CEO Convo™ is an open conversation over coffee or cocktails, where attendees can ask their specific personal branding questions and get them answered. I love teaching entrepreneurs how to take their personal brand from “hustler to CEO” status. To get the ball rolling let me first ask you some questions so I can better understand your needs.